This latte is inspired by the famous Propane Latte, also known as the “Creamy Banana and Peanut Protein Latte (Better than Starbucks) + Zero Carb.” This is a protein latte concocted out of Banana Whey + Cream + Peanut Butter + MCT + Cinnamon to taste. My latte right here is an offshoot of Propane’s and I love it! It’s my afternoon pick-me-up-with-a-BOOOM pleasure; it’s a creamy taste beast and I have Propane to thank for the idea because I never would have thought banana whey + espresso would mix so nicely. Mixed together in a cup (coffee and water first then milk and MCTs and finally whey). I’m buzzing with caffeine looove for this drink! If you notice, per serving, my latte is pretty ‘low’ in protein (7g), well, low compared to Propane’s (theirs packs 32g of protein). That’s because I used just one tbsp of whey. You can use two, three, four, five, six, or whatever you want though, depends on how you like it. Now, let me rave about the MCT (Medium Chain Tryglicerides) powder. I’m trying it for the first time in powder form and will be bringing it to Sunday’s Protein Pow(d)er Cookery workshop for you guys to try it too. It’s amazing. It’s… so… SO! creamy, rich, and delicious! Besides tasting like powdered heaven, MCTs have been argued to have lots of benefits too. 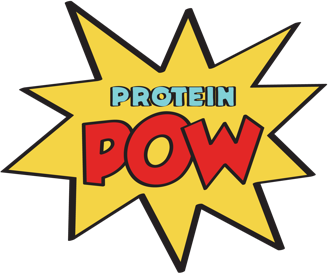 Some protein powders – particularly those hailing to be miraculous in their health properties – have been adding MCTs to their blend (e.g, Sunwarrior’s Warrior Blend and Dr. Mercola’s Miracle Whey ). Why? Because MCTs are all the rage these days. See, in contrast to most of the long-chain fatty acids we consume, MCTs are readily absorbed and quickly digested by our gastrointestinal tract. They get fast-tracked to our livers where they become a quick and direct source of energy. Many have argued that MCTs bolster athletic performance and that they improve body recomposition by supporting fat (vis-a-vis muscle) loss (see here, here, here, here, and here). You’ll find a lot of articles hailing the benefits of MCTs online (see: Bodybuilding.com‘s, Fitflex‘s, and Livestrong‘s). To me, MCTS – much like coconut oil – represent a fantastic combination. They deliver, shall we day, a double punch: a ka-POW! of deliciousness and a ka-BOOOM! of likely health and fitness benefits. Say, say, say, welcome to the cupboard.